While individual players had record-breaking games, the Ohio State women’s volleyball team fell to Michigan State in four sets (25-18, 24-26, 25-19, 25-10) on Wednesday night. The Buckeyes came out at 12-15 overall and 3-12 in the Big Ten while the Spartans improve to 16-12 overall and 4-11 in conference action. Freshman opposite hitter Vanja Bukilić broke personal and team records with a team-high 17 kills, a career-high 21 points and four service aces. Back-to-back kills by Bukilić led Ohio State to a 26-24 win in the second set. The Buckeyes got off to a 8-3 lead in the third set, but Michigan State bounced back to tie the game at 17, finishing with a 25-19 win. 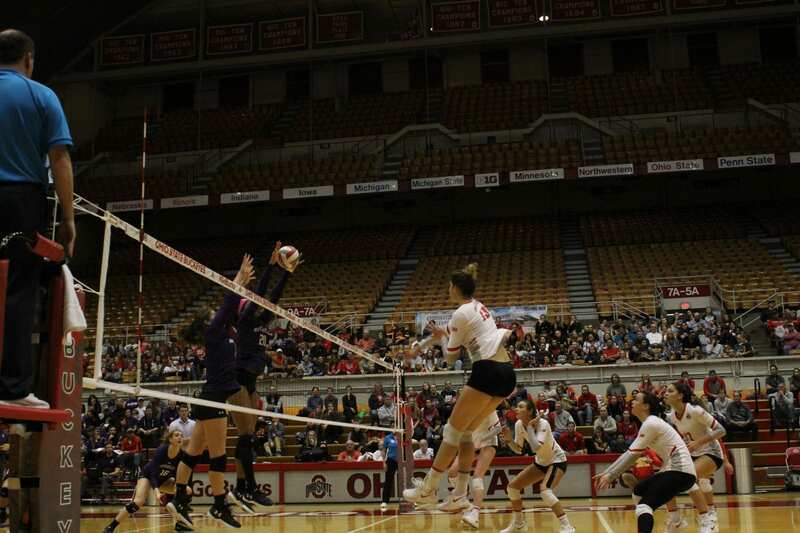 Ohio State sophomore setter Becca Mauer had a career-high 15 digs and junior defensive specialist Camry Halm had nine. Michigan State redshirt senior outside hitter Maddie Haggerty had 18 kills and freshman setter Elena Shklyar had five service aces. Ohio State more than doubled Michigan State in errors, with the Buckeyes recording 29 compared to the Spartans’ 13. Ohio State will head back home to face Maryland at the St. John Arena on Saturday at 7 p.m.